I am sure by now most of you have noticed the 5p bag charge which is now in place for plastic carrier bags from most supermarkets and shops? You may be thinking 5p isn't a lot much just think how many of these bags you probably use and throw away in a life time? Trolley Bags are here to change all that! Not only do they save you the 5p bag charge they also mean less waste and make packing shopping a whole lot easier. Trolley bags are simple to use, each bag is numbered 1 through to 4 with 4 being the largest. 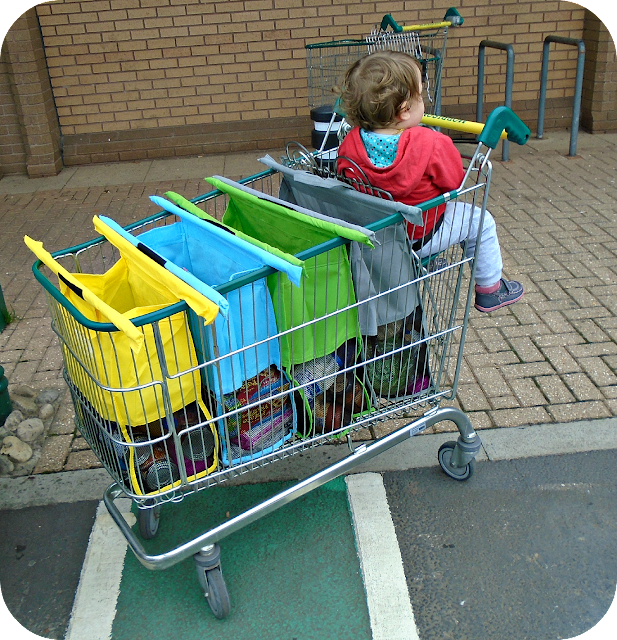 When you get to the checkout you just place them in the trolley and spread them across the whole length of the trolley ensuring they are stuck together with the velcro strips. 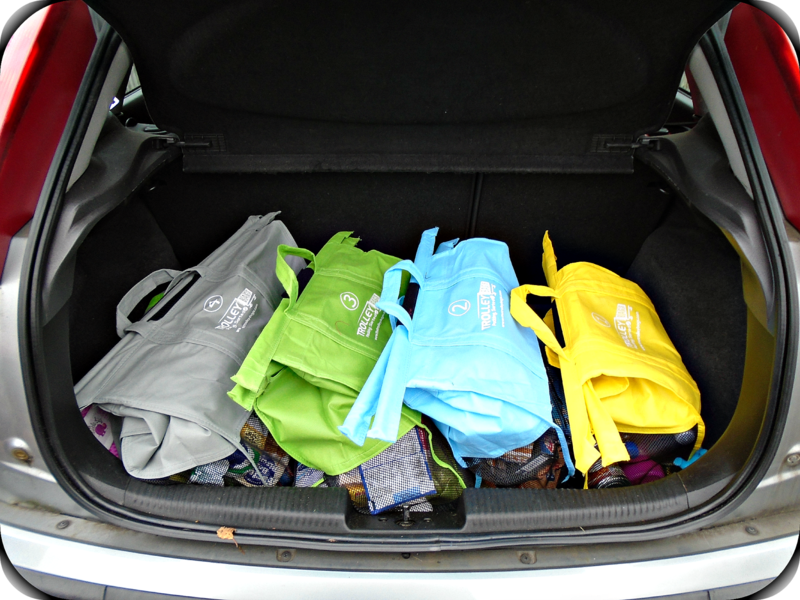 Then fill with your shopping and when you get to the car carefully pull apart from the velcro and pick up using both handles and place in the car. 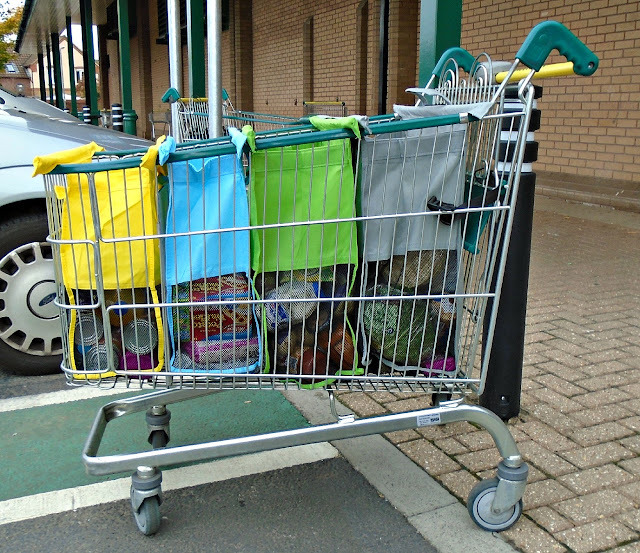 When it comes to packing the shopping in the car Trolley bags make it simple as you just pull them apart at the velcro section and lift each bag out individually by the handles and place in the boot. You must make sure when lifting the bags you always hold them by both handles and NOT the poles as they may bend or snap when used to carry shopping. The bags feel sturdy and well made, I was a little worried that as the bottom is a mesh type material it may rip or tear easily if something tough was placed at the bottom, however after trying them out the mesh feels just as strong and sturdy as the rest of the bag. One thing I was a little worried about is how they would fit in the trolley when using the baby seat! I usually have Evelyn with me when I go shopping and so always use the baby seat and all of the pictures I have seen of the Trolley Bags in use require the whole trolley. However as you can see it was no issue at all! It did mean that rather than hang the bags of the small loop when not in use I had to pop them in the main trolley, this wasn't an issue though as when folded they take up hardly any room at all. I was still able to use all 4 trolley bags as the smallest bag fits neatly in to the end section of the trolley. 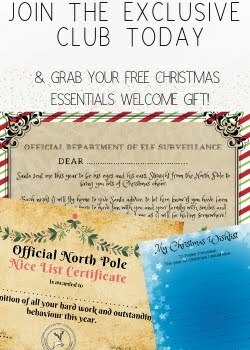 I was stopped several times when I used these with people commenting on what a fab idea they are and I have to agree. The checkout lady at our local Morrison's couldn't believe how quickly we could pack the shopping using them and it meant no rushing to get everything packed at the end. Trolley Bags certainly make packing the shopping a lot easier, quicker and less hassle and so they get a big thumbs up from us. 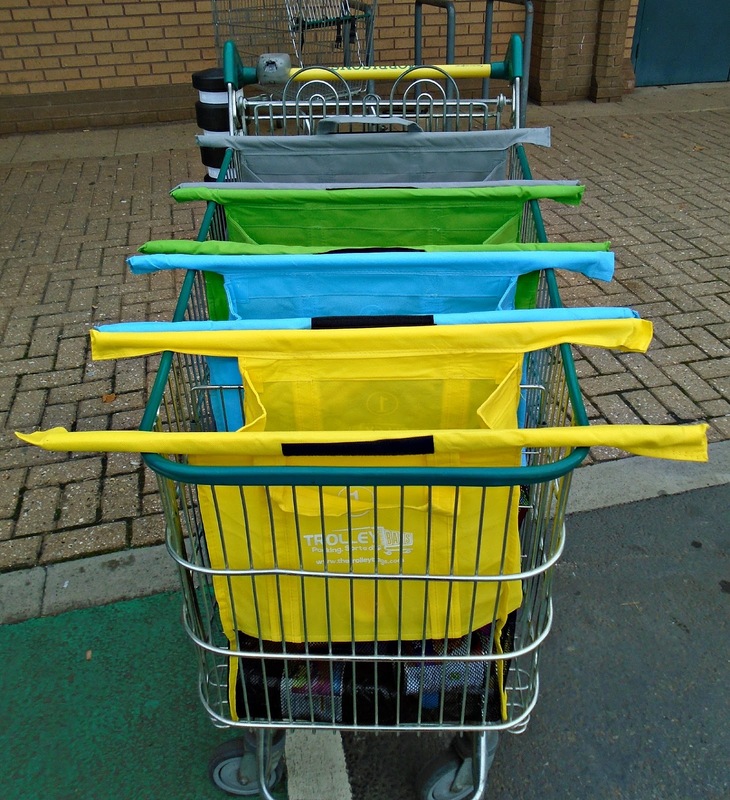 These bags would also work perfectly if you are using the "Scan and Shop" function some supermarkets have in place as you can just pack as you go with ease. Priced at £17.99 for a set of 4 bags I think they are reasonably priced especially when you consider how much you would probably spend on carrier bags over a life time when these will last and last. 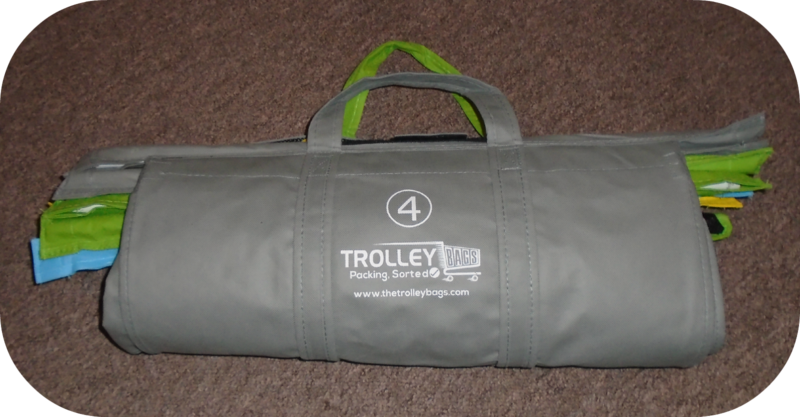 You can find our more about Trolley Bags on their Facebook and Twitter pages or via the website HERE. heard so much about these - i might just give them a go!! I always throw everything back in the trolley & pack my bags at the car boot, I have arthritis & it gives me more time but I think I could use these, love the way they fit in the trolley.